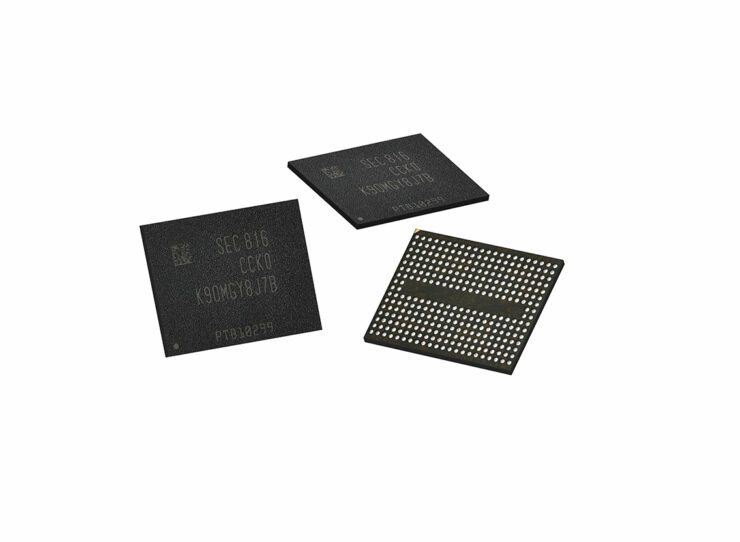 Samsung is a pioneer in advanced memory technology and today, the Korean giant has announced that it has begun mass producing its fifth-generation V-NAND memory chips that boast the fastest possible data transfers. According to the company, the new 256Gb or gigabit V-NAND flash memory has reached a speed of 1.4Gbps, or gigabits per second, resulting in a 40 percent increase from its 64-layer predecessor. 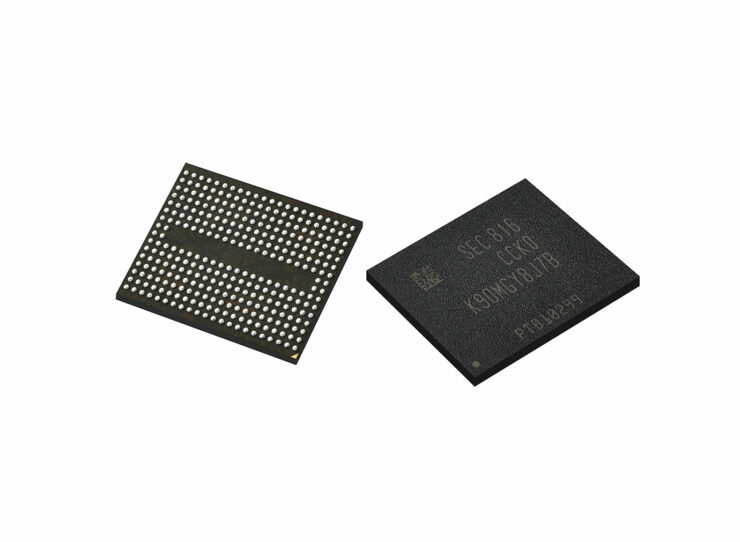 The energy efficiency of Samsung’s new V-NAND remains comparable to that of the 64-layer chip and that is because the operating voltage has been reduced from 1.8 volts to 1.2 volts. As mentioned above, Samsung also states that the latest flash memory technology boasts the fastest data write speed to date at 500 microseconds, resulting in approximately a 30 percent improvement over the write speeds of the previous generation. This next-generation V-NAND flash memory is going to be intended for premium smartphones, as well as being targeted to other industries and applications. Recapping on the release of the iPhone X, and iPhone 8 Plus and the iPhone 8, these were the first commercially released devices to support 4K video recording support at 60FPS, meaning a lot of data is being written on these flash memory chips. Eventually, smartphone manufacturers will allow video recording support to go up to 8K, which will not just need an abundant level of internal storage but the technology will also have to keep up in terms of read and write speeds. Thanks to Samsung’s groundbreaking technology, the fifth-generation V-NAND features more than 90 layers of ‘3D charge trap flash (CTF) cells,’ which happens to be the largest amount in the industry, and these are stacked in a pyramid structure with microscopic channel holes vertically drilled throughout. These channel holes, which are only a few 100nm wide, contain more than 85 billion CTF cells that can store three bits of data each. This state-of-the-art memory fabrication is the result of several breakthroughs that include advanced circuit designs and new process technologies. Furthermore, because of the enhancements present in the V-NAND’s atomic layer deposition process, manufacturing productivity has also increased by more than 30 percent, meaning that more OEMs will be able to incorporate this technology in their future phones. This cutting-edge technology also allows better efficiency of the chip’s data processing, leading to a lowered power consumption while providing an increase in speeds. 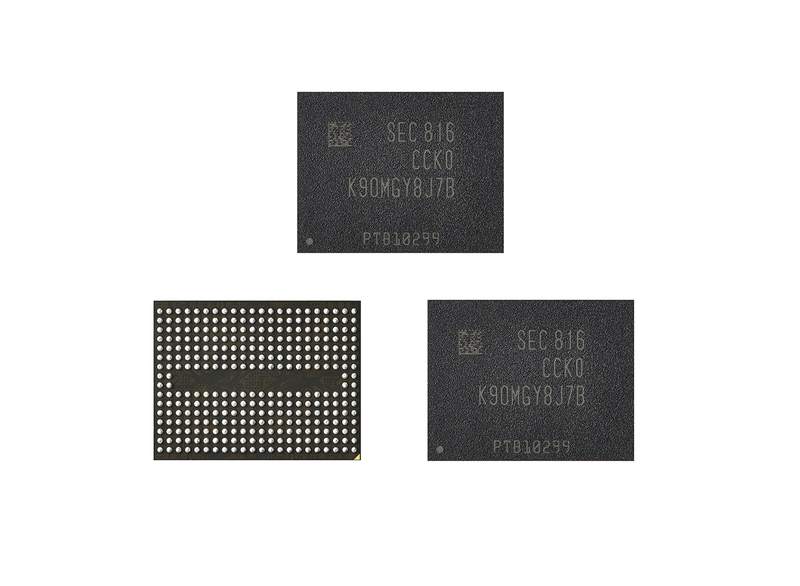 Kye Hyun Kyung, Executive Vice President of Flash Product and Technology at Samsung Electronics states the following during the announcement of the next-gen flash memory. 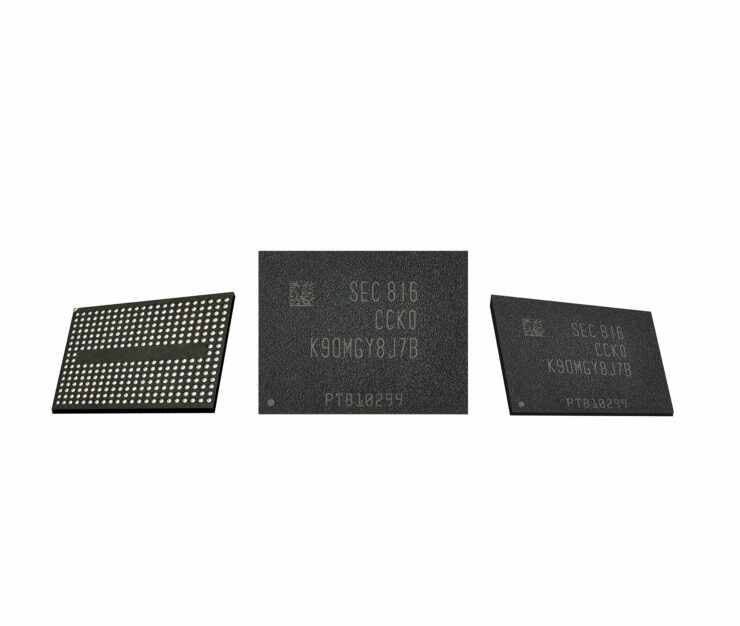 It is more than possible that the Galaxy S10 features these next-generation memory chips, though there is a high chance that the flagship will be limited to capturing 4K video at 60FPS. Still, looking at how terrible the sales performance is of the Galaxy S9 and Galaxy S9 Plus, a lot can be expected from the upcoming handset.